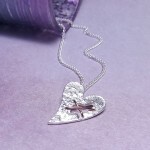 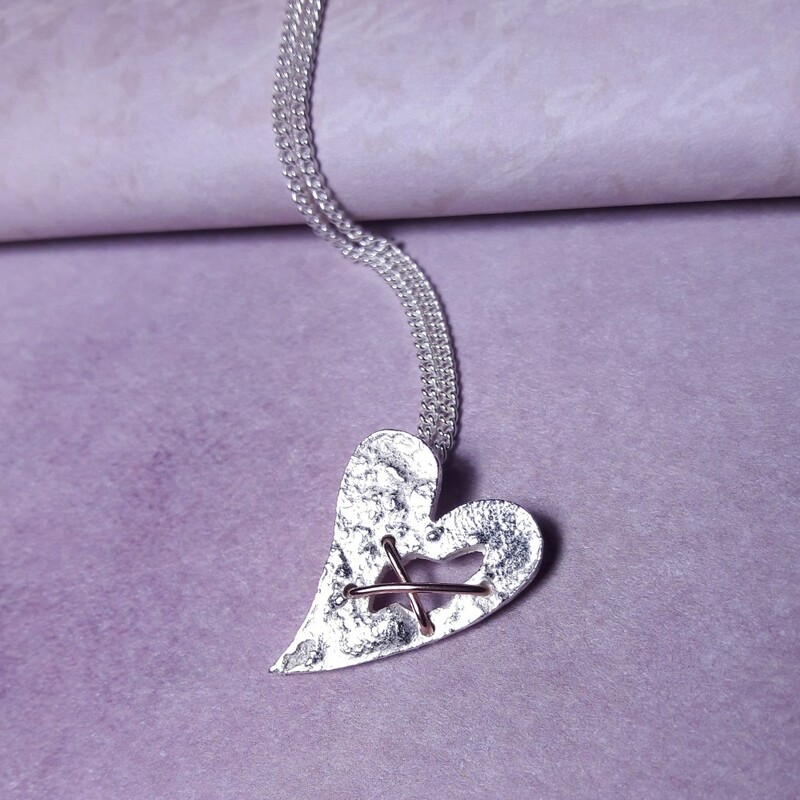 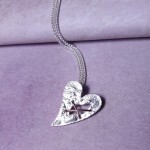 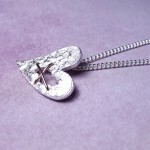 This meaningful necklace depicts the events, loss and upset that can leave a hole in our hearts. 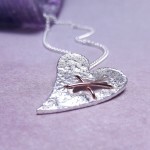 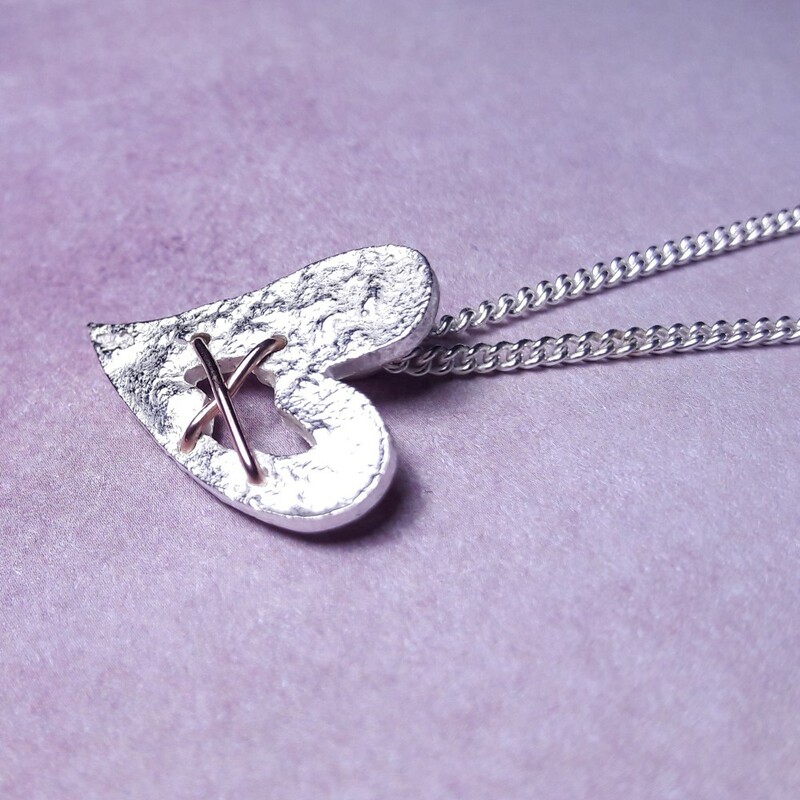 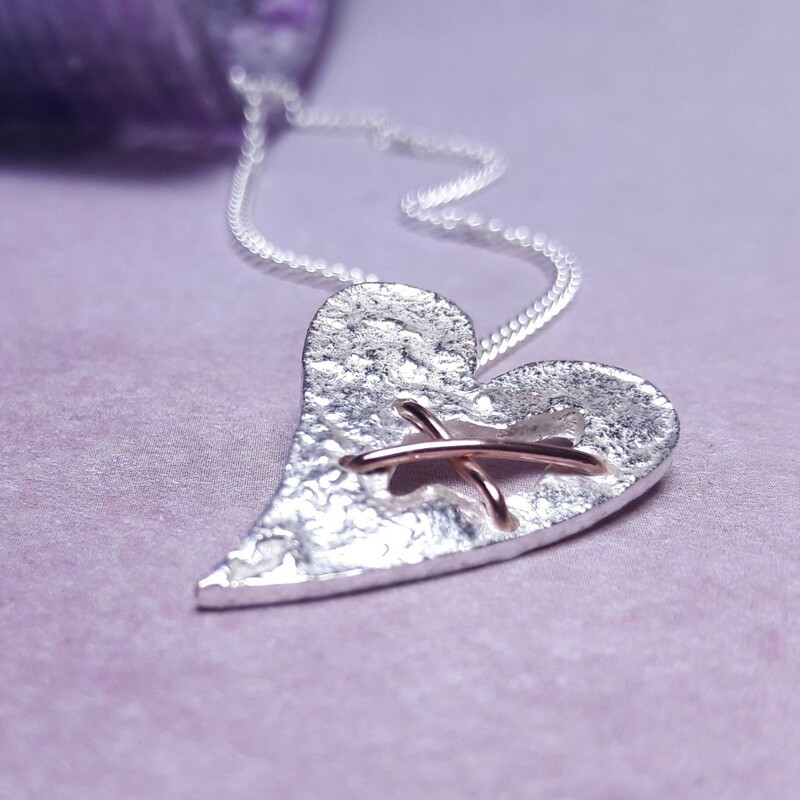 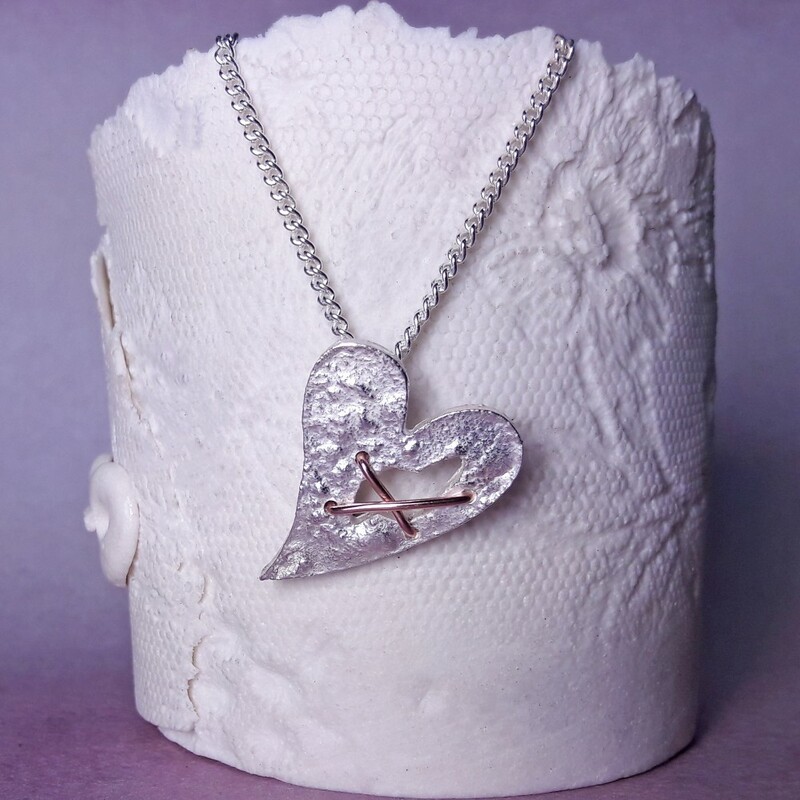 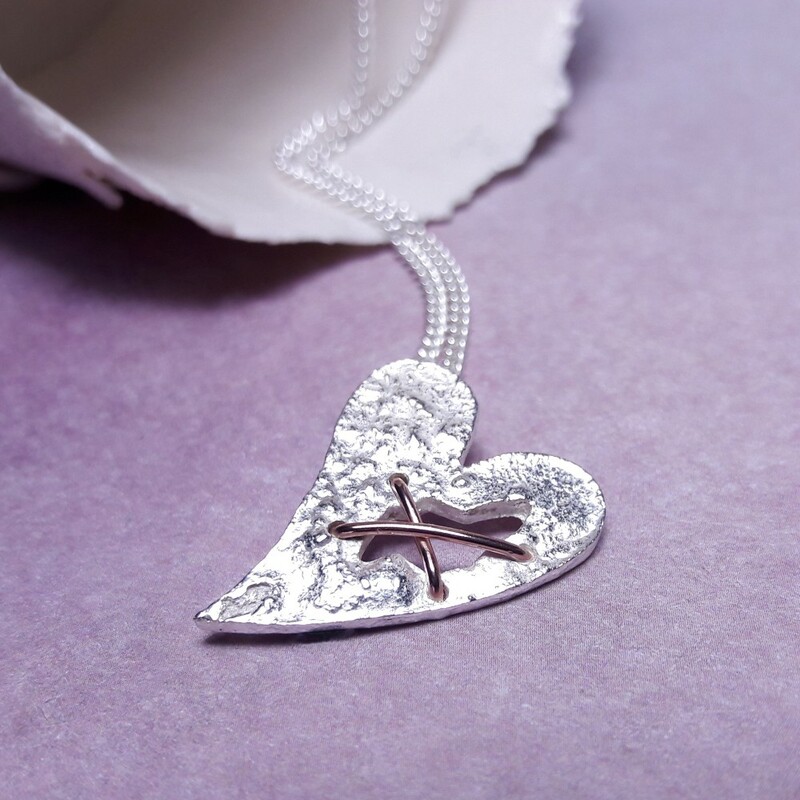 This sterling silver heart shaped pendant has been created to symbolize the hole that we can feel has been left in our hearts following the loss of someone close to us. 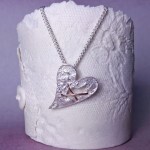 The “stitches” to help close the wound are 14ct Rose or Yellow Gold Filled wire. 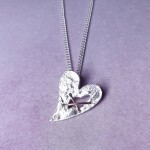 The heart has been texturised using a special treatment of repeatedly heating the silver until it reaches melting point thus creating unique patterns and textures every time, depicting the different dents and scars that are etched onto our hearts over the years. 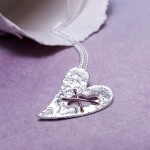 Due to the process used to create this heart, each one will be completely unique and may differ slightly from the one shown in the product image. 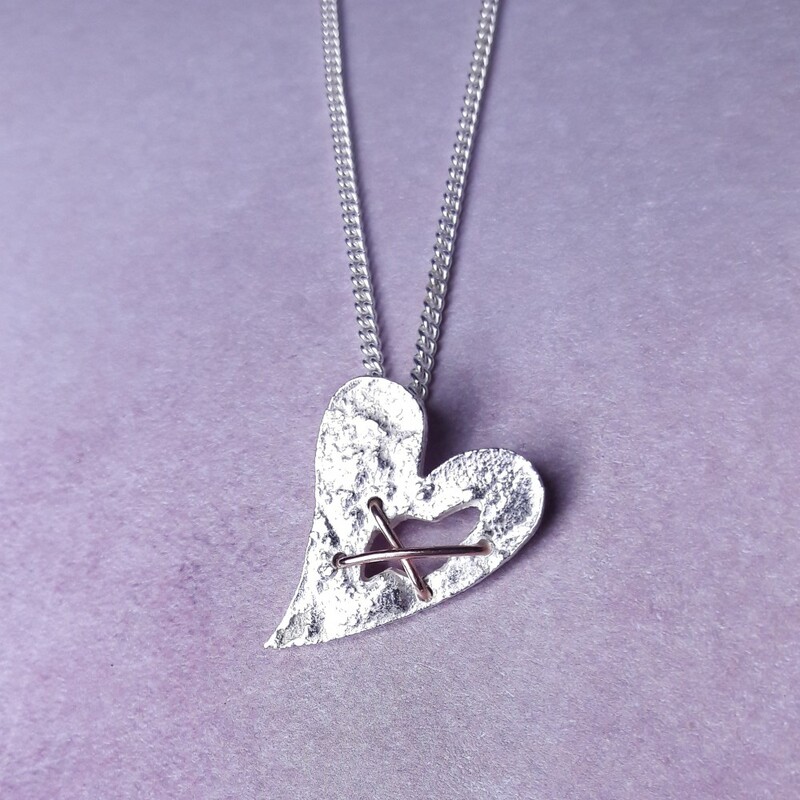 The heart pendant hangs from a sterling silver curb chain which is available in a number of different chain lengths to suit all individuals.